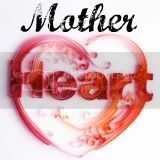 Well today I am featured on Seven Cherubs as part of their Mother Heart posts, where Naomi interviews mum's. I was so honoured when she contacted me about it and love the job she did. It was great fun answering and Naomi is really lovely. Another part of her blog I really love is her happiness project where she has listed things that make her happy and is setting about doing them! I think this is a great idea. Anyway, go check it out!